Humans have had a profoundly adverse impact on the environment. Failure to conduct activities like manufacturing, transportation, large-scale fishing, agriculture and waste disposal in moderation impacts the land, air and water. While the full range of long-term consequences of human intervention on the environment is uncertain, some consequences like climate change are already apparent. The human impact on the environment is substantial and adverse. These include land degradation (deforestation), air pollution, water contamination and climate change. There are many examples of human failure to use land resources sustainably. Deforestation occurs when humans clear forests to use the land either for agriculture or for habitation. Consequently, forest cover dwindles significantly, leading to soil erosion and extinction of plant species. Land animals also decline in numbers and even face extinction due to human expansion that encroaches on their natural habitat and limits their ability to spread geographically. One of the biggest environmental impacts of human activities is air quality. The transportation sector contributes heavily to air pollution because most forms of transportation, including cars, planes and ocean vessels, use fossil fuels. 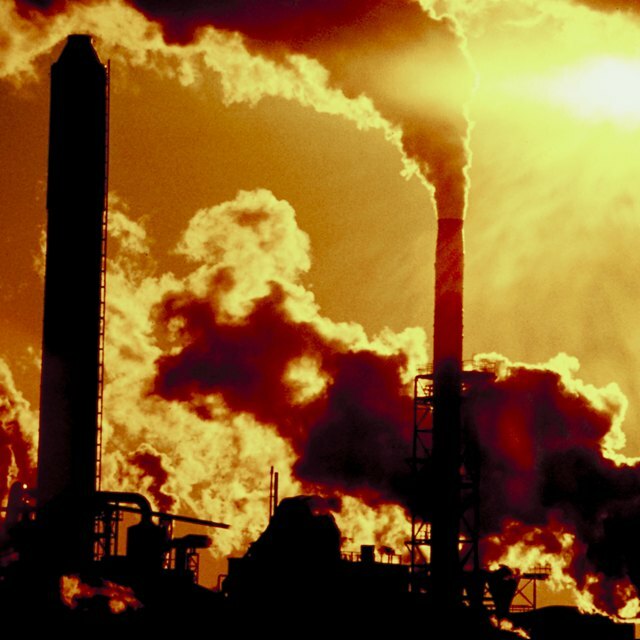 When burned, fossil fuels release carbon dioxide and other greenhouse gases into the environment. In addition, the manufacturing industry grows exponentially with the expansion of the human population. Manufacturing plants emit carbons and sulfurs that do not occur naturally in the environment, causing an imbalance in the quality and composition of air. Some air pollutants deplete the ozone layer and expose the Earth to dangerous radiation from the sun. Human intervention in the environment also jeopardizes the supply and flow of clean drinking water. Activities like waste disposal from residential, commercial and industrial areas, oil spills and runoff from agriculture all contaminate bodies of water. The direct deposit of pollutants into lakes, rivers, seas and streams and indirect runoff of hazardous substances during the rainy seasons both impact water sources. Another environmental issue impacting water systems is overfishing, which causes a reduction in diversity of marine life. Human activities in the environment interfere with the planet's natural balance, making the Earth’s climate less stable and predictable. Climate change brings abnormal occurrences such as unprecedented flooding; increased numbers of storms, hurricanes and typhoons; fiercer brush fires; and most notably tsunamis, which are uncommon in the Earth’s recent history. Phenomena such as rising sea levels, unseasonably high temperatures and drought hint toward an environment that cannot take much more negative human impact. Mike Stephen began writing professionally in 2004. He specializes in articles related to science, health and nutrition. He served as an editor for online special-needs magazines and currently writes about science, nutrition and music for several publications. Stephen, Mike. "The Effects of Human Intervention on the Environment." Sciencing, https://sciencing.com/effects-human-intervention-environment-23067.html. 05 June 2018. How Does the Sun Affect an Ecosystem?